SINGAPORE, 8 March 2017 – Changi Airport Group (CAG) today announced that it has launched a Master Architect tender for the provision of Master Architect consultancy services for the development of Terminal 5 (T5). Three consortia have been shortlisted to participate in the tender. A consortium led by Safdie Architects, in partnership with Skidmore, Owings & Merrill LLP, Surbana Jurong and RSP Architects. About 140 local and international architectural firms attended a CAG briefing in May last year on the T5 project. Following an open pre-qualification exercise which closed in September 2016, 12 submissions were received. From these, the three consortia were shortlisted based on a range of factors including their vision and design themes for the terminal, track record on previous airport terminal projects, the team composition and experience of its key personnel, as well as their proposed approach for the delivery of the project. Mr Yam Kum Weng, CAG’s Executive Vice President for Airport Development said, “The evaluation team was impressed with the high quality of the submissions from the pre-qualification exercise, a reflection of the strong experience and track record of the architects participating in the T5 project. We thank the many firms for their interest and participation in this project. Each of the shortlisted teams will be required to partner with pre-qualified Civil & Structural Engineering and Mechanical & Electrical Engineering consultants (see Annex) to participate in the tender. Tenderers will be assessed based on the quality of their design and technical proposals, the team of architects and specialists, as well as the competitiveness of their fees. Separately, CAG has shortlisted four consortia for the provision of Master Civil consultancy services, for the design of infrastructure at the landside and airside areas outside of the T5 buildings. These include taxiways, aircraft parking stands, roadways and drainage systems, as well as the connections for utilities such as power, water, gas and telecommunications to the T5 buildings. A consortium led by T.Y. Lin International Pte. Ltd (Singapore), in partnership with US-based T.Y. Lin International, Dar Al-Handasah Consultants and Architects Vista. The Master Civil scope of services also includes wide-ranging mechanical and electrical requirements such as the fire hydrant network, water harvesting and specialised airport systems. The appointed consortium will be responsible for the supervision and oversight of construction activities. The tender is expected to be launched by the middle of this year, with selection made by early 2018. 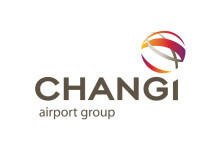 T5 is part of the Changi East project being undertaken by CAG to ensure that Changi Airport continues to have the capacity to meet growing passenger and airfreight traffic, and to consolidate Changi Airport’s position as a premier global air hub. The project includes the implementation of a three-runway system at Changi Airport, as well as the development of cargo complexes and other supporting aviation and ground transport infrastructure. The entire project is scheduled for completion in the late 2020s. Changi Airport is the world's sixth busiest airport for international traffic. It served a record 58.7 million passengers from around the globe in 2016. More than 360 retail stores and 140 F&B outlets are situated across three terminals to cater to passengers and visitors. With over 100 airlines providing connectivity to 380 cities worldwide, Changi Airport handles about 7,000 flights every week, or about one every 90 seconds.